A lot of companies claim to listen and act on customer feedback but how many can actually back that up? Fact check! Did you know that a division of our company – now over a $4 billion business in its own right – was set up 21 years ago in direct response to customer demand? Seriously – it’s true. Back then, when we visited Emerson Automation Solutions, located close to our global headquarters in Texas, they told us that they wanted to keep their existing hardware platform for an extended period. They also asked if we could help them add customization features so that they could provide a standard yet tailored system solution for their industrial customers in vertical industries. What does this boil down to? In a nutshell, we take care of all aspects of bringing a product to market from solution design through to inventory management, customized manufacturing and field support. We offer expertise in IoT design and deployment plus in-depth knowledge of more than 40 vertical industries, for example, industrial automation, healthcare, telco, security and defence. Specifically, we help customers select the right compute power for their solution, modify the appropriate Dell EMC system to optimally run their IP, certify it to industry standards or regulatory requirements and build it. We work closely with key partners like Intel and can deliver pretty much anything the customer wants, including adding specially designed brackets and switches, labelling, integrating third-party cards, creating custom bios as well as managing branding and validation. Beyond system customisation and certification, we also offer ruggedised systems for punishing environments, long lifecycle products with managed product transitions plus specialist expertise through a range of partners – channel, application and IoT. Customers enjoy access to a team of dedicated engineers and project managers, a global supply chain, shipping and logistics expertise, award-winning support and importantly, tier 1 tried and tested architecture. For me, the moral of the story is that it always pays to listen to feedback and act on good ideas. We certainly owe that first customer a debt of gratitude for planting the seed of a multi-billion dollar business. As you can guess, for me, the industrial automation market is special – after all, it was the trigger for the business that I now head up in Europe. It’s where it all began. Today, industrial automation continues to be one of our biggest revenue drivers globally. While the industry certainly has had to contend with ups and downs over the last few decades, the good news is that contrary to many reports, it’s alive, well and kicking. In my view, that’s largely down to the great spirit of innovation and continuous improvement in the industrial automation industry. Instead of resisting technology, those guys have always embraced new ways of doing things faster, smarter and better. Today’s factories now have the IT tools to collect, analyse and act on data in real time to optimise operations, lower costs, increase throughput and gain a competitive edge. For the last twenty years, our customised PowerEdge servers and Precision workstations have been integrated into central automation and control rooms (now called the “Core”) to collect data .In contrast, the factory floor (now known as the “Edge”) was traditionally characterised by proprietary hardware and software solutions. That’s all changing now. With the Industrial IoT, data needs to be collected, analysed and integrated with different “data consumers”, close to the action on the factory floor, either on the premises or in the Cloud. As a result, we are seeing a big move towards standard hardware devices at the Edge (Embedded PCs and Gateways) and software interoperability in the field. The good news is that we can provide everything from the Edge to Core to Cloud, depending on the amount of data being processed and your analytics requirements. And of course, in terms of cybersecurity and services, we offer a one-stop-shop with customers also enjoying access to the broad Dell Technologies portfolio, including RSA and VMware Pulse IoT Center. A picture paints a thousand words so let me give you a few examples of how we help our industrial automation customers solve problems. Our customised solutions power the control rooms at some of the biggest energy plants around the world. Their focus is on reducing downtime and improving profitability by remotely monitoring critical equipment (think of a power station, mine, refinery or an off-shore oil rig) with sensors, edge gateways and sophisticated cloud-hosted analytics tools. In other industries, such as automobile manufacturing, factories are using our technology to conduct real-time testing and quality control during the assembly process in order to make adjustments and prevent potential problems before they occur. For example, one customer uses our products to power 3D metrology industrial machines that use robots with rotating cameras to precisely measure production parts down to micron level. In fact, we even have experience in connecting Dell EMC systems to non-IT equipment, such as trucks, trains and planes and are actively involved in delivering a customer solution for car testing and certification. By using the Internet of Things and our Gateways, other customers are tracking the condition of manufacturing equipment, second by second and accurately predicting when customer maintenance should take place to increase uptime and save money. The industrial automation market continues to play a huge role in the global economy and leads the way in the adoption of new technologies. In fact, I believe that it’s driving huge innovation worldwide. Where industrial automation leads, others eventually follow. 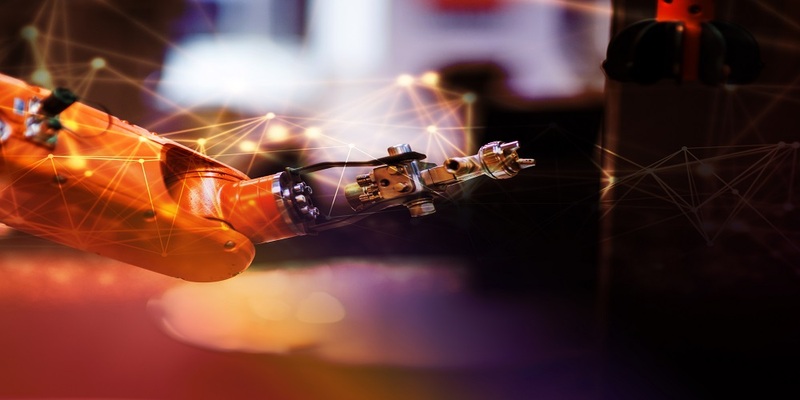 Emerging trends include augmented reality, 3D printing, robotics, artificial intelligence, cloud-based supervisory control and data acquisition (SCADA) systems and programmable automation controllers (PACs). The key question is, what is the current state of play? We recently commissioned Vanson Bourne to survey 3,800 business leaders from around the world to gauge their predictions and preparedness for the future. The research shows businesses are split by divergent views of the future. 82 percent of business leaders expect their workforce and machines will work as integrated teams within five years. Leaders are divided on what this future means for them, with 50 percent saying automated systems will free-up their time, while the other half disagrees. Organisations are united in the need to transform and how; but they are not moving fast enough. I know a lot of people are afraid of automation and worry about impacts to employment. I understand that fear but believe that we need to keep using technology to reinvent processes and strengthen the industry’s ability to hire workers with the right, high-tech, high-touch skills needed in this digital age. Just as there was a move from farm work to factory work back in the early 20thcentury, almost every sector will need new kinds of workers. The truth is that the industry will continue to need talented people who can manage new operations, programme the robotics and adapt and maintain new equipment. Dell EMC OEM is proud to contribute to the transformation of this important industry. And customers, don’t stop telling us what you need – we’re listening! Please join the conversation. I’d love to hear your comments and questions. Keep in touch. Follow us on Twitter @dellemcoem and @dermotatdell. Join our LinkedIn OEM & IoT Solutions Showcase page here .